In our Introduction to Cisco UCS Architecture, we touched briefly on the Cisco UCS Fabric Interconnect. Specifically we talked about the latest generation, the Cisco UCS 6454 Fabric Interconnect. Now, I want to take a closer look at the function of the Cisco UCS Fabric Interconnect, and some things to think about when you are deploying it. What is a Cisco UCS Fabric Interconnect? A Cisco UCS Fabric Interconnect is the brains of the Cisco UCS platform. If you did not already know, UCS is an acronym for “Unified Computing System”. 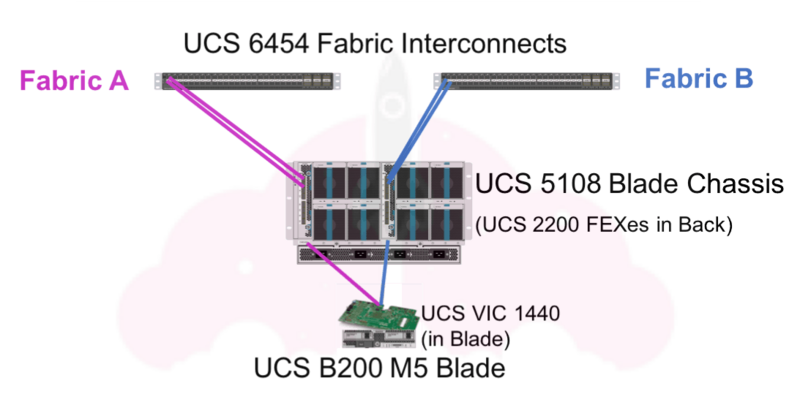 When we talk about the specifics of the Cisco UCS Fabric Interconnect, we are going to talk about the Cisco UCS 6454 Fabric Interconnect. Like I said, it looks like a switch, but has so much more functionality, which we are about to go into in great detail. What Does a Cisco UCS Fabric Interconnect Do? Does it do even more than this? Yes, but let’s start with the basics and move on from there. I have combined two of the bullet points above into a single statement to reflect the best practices of deploying a Cisco UCS environment. While strictly speaking you could deploy a single Cisco UCS Fabric Interconnect (and I have seen it done in labs and small environments), it is not a good idea for large production environments that demand availability. Why? Simple. We always want to deploy things with redundancy in mind. If I had a single Cisco UCS Fabric Interconnect and it failed, my complete Cisco UCS environment would be down. This is often a criticism of the Cisco UCS architecture, since it has such a large failure domain with this Cisco UCS Fabric Interconnects being so vital. If we deploy them in pairs, and one Fabric Interconnect is down (or being rebooted to upgrade UCS Manager) we will still be operational. If we architect things correctly, we should also NOT see any performance degradation. It would do the same for the other side, meaning if we lost any component along that chain, the other side would simply pick up the slack, and we would not see any impact. The proper way to size the uplinks is to ensure all traffic can flow through a single uplink without service interruption in the event of a component failure. This Cisco UCS will 6454 Fabric Interconnect has six 40/100 uplink ports. This actually makes providing ample bandwidth very easy compared to previous generations. In many cases, 40 Gbps of bandwidth (which would be two redundant 40 Gbps links, one to each Nexus, to survive failure of a Nexus device) may even be sufficient. 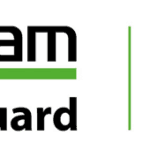 The rule of thumb is you aways want to be able to run at full bandwidth with the failure of any component along the chain, unless you accept the risk of degraded performance in the event of a component failure. Sometimes, all the different components of a Cisco UCS configuration can get confusing. Do not worry, since this is really easy. Think of a Cisco FEX as a stupid port expander. That is it! By plugging a Cisco FEX into a Cisco Fabric Interconnect, you simply get more ports. You can read more about Cisco Fabric Extender Technology (what the FEX acronym stands for) here. This FEX looks exactly like a Cisco Fabric Interconnect or a Cisco Nexus Switch. It simply connects to the Fabric Interconnect to create more ports to connect things too. That’s it! In this particular diagram, I have included the Cisco UCS 2208 FEX, which means each FEX has eight 10 Gbps connections to their respective Cisco Fabric Interconnect. Conversely, there is also another FEX called the Cisco UCS 2204 FEX which has four 10 Gbps connections. Remember, each Cisco UCS FEX is NOT cross connected to each Cisco Fabric Interconnect. FEX A connects to Fabric Interconnect A, which means for maximum bandwidth during failure, the connections between FEX A and Fabric Interconnect A must be able to sustain the complete Cisco UCS chassis. One popular method to deploying Cisco UCS is the “cable once” method where you connect all connections during initial deployment, and turn them on as needed. This is a great way to be able to ensure you have bandwidth available if you need it. As we mentioned, the Cisco Blade Chassis is connected to the Cisco Fabric interconnect with the Cisco UCS FEX 2200 as an intermediary. This configuration is done via Cisco UCS Manager. Obviously, PortChannel Mode is the choice when it comes to availability, but you may have a use case for discrete mode. You can learn more about how to configure Networking for the Cisco UCS Fabric Interconnect in the Cisco UCS Manager Network Management Guide. If you want to get some practical experience working with Cisco UCS Manager, and configuring Cisco UCS Fabric Interconnect networking, be sure to take a look at the Cisco UCS Platform Emulator, which is a light weight VM that emulates a Cisco UCS Hardware environment with Cisco UCS Manager. 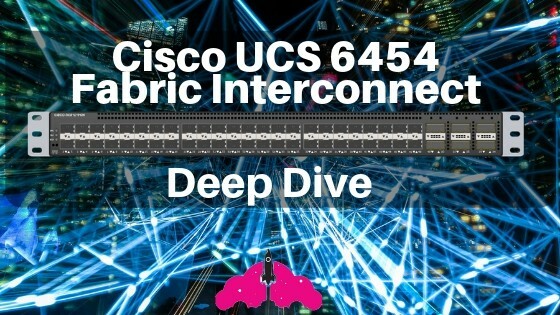 Cisco UCS 6454 Fabric Interconnect Spec Sheet – Everything you ever wanted to know about the Cisco Fabric Interconnect, and more! This is your one stop shop for all the details. If you are not familiar with Cisco Spec Sheets, be sure to check out this guide. Cisco UCS 6454 Fabric Interconnect Hardware Installation Guide – Get the nuts and bolts on how the Cisco UCS Fabric Interconnect is physically installed. Cisco UCS 6454 Data Sheet – Some great diagrams and specifications on the Cisco UCS 6454 Fabric Interconnect and associated components. These are all fantastic resources to learn more about the Cisco UCS 6454 Fabric Interconnect. The Fabric Interconnect really is the heart and soul of your Cisco UCS environment. Without a Fabric Interconnect, your Cisco UCS environment will cease to function. This is why the Cisco UCS 5454 Fabric Interconnect is always deployed in pairs. Cisco UCS Manager makes it easy to configure the network connectivity for your Cisco UCS environment. 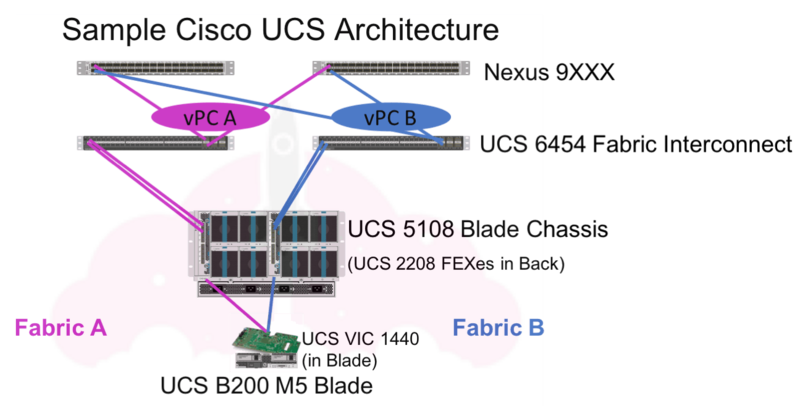 Cisco UCS Servers may be connected to the Fabric Interconnect directly in the case of Cisco UCS C-Series rack servers, or through a Cisco FEX, as in the case of Cisco UCS B-Series blade servers. Either way, make sure to size your Cisco UCS network connectivity to meet your organizations requirements.